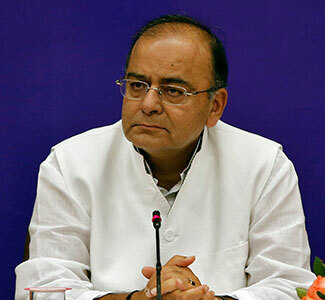 Finance Minister Arun Jaitley will present the general budget for 2016-17 on February 29, minister of state for finance Jayant Sinha said on Thursday. This will be the third budget of the Narendra Modi-led government since coming to power in 2014 and the second full-term budget. Jaitley presented a more realistic budget last year with not much in terms of big-bang reforms. This year, the markets and analysts will be watching how the finance minister balances the constraints to the fiscal deficit from the seventh pay commission’s recommendations on wage hikes for central government employees and the government’s approval to the one-rank, one-pension plan for defence personnel. The markets will also be expecting a more rational divestment agenda. While the government had announced plans to raise Rs 68,500 crore from disinvestment in the current fiscal year, it has achieved just one-fifth of the target so far. The finance minister has already started discussions with economists, trade unions and IT sectors and will cover more industries in the run-up to the budget. The major concern in this budget is about revising the fiscal deficit target. While the government is widely expected to meet its target for 2015-16, set at 3.9 per cent of GDP, there is less optimism about the next year’s goal of 3.5 per cent. “This will be make or break, in terms of rationalization of expenditure and allocation to key sectors. While the government may deviate due to elections in some of the key states, the budget as was last year will be more realistic as the government lacks the fiscal space to play much with expenditure,” said Arun Singh, senior economist at Dun and Bradstreet. A change in the fiscal deficit target will not only be a loss of face for the government but will also defer further easing of monetary policy. This is because a rate cut from the central bank is predicated on the government’s fiscal consolidation roadmap. “They may not be very aggressive to take the fiscal deficit to 3.5 per cent, they may retain it at 3.8-3.9 per cent. They are aware of the fact that the government is the only entity to push forward spending, so whatever could not be completed this year may be taken up in the next,” said Madan Sabnavis, chief economist at CARE ratings.